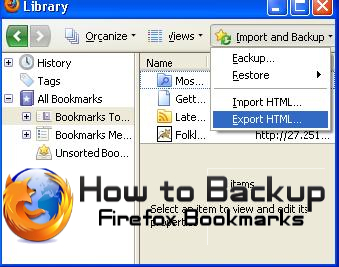 Taking favorites & bookmarks backup in Microsoft Internet Explorer is very easy and this step includes just copying the Favorite folder from My Documents. But in other browser it requires to follow few simple steps. We have observed that due to several system crash issue we may lose our data as well as important bookmarks too. But you are really in trouble when you lose your browser data like browser settings, bookmarks, toolbar, add-ones, cookies etc which you have saved and bookmarked since long time. Nowadays Mozilla Firefox has become the most used web browser in the world because of its support-ability with all web pages containing either video, audio or images . So people set Firefox as your default web browser and save a lot of settings daily, like addons, toolbar, bookmarks, saved forms etc. Due to multiple reason your system may crash and when you re-install your browser at that time it would be time consuming task to bring back all the settings, addons, important page bookmarks which you have saved before. 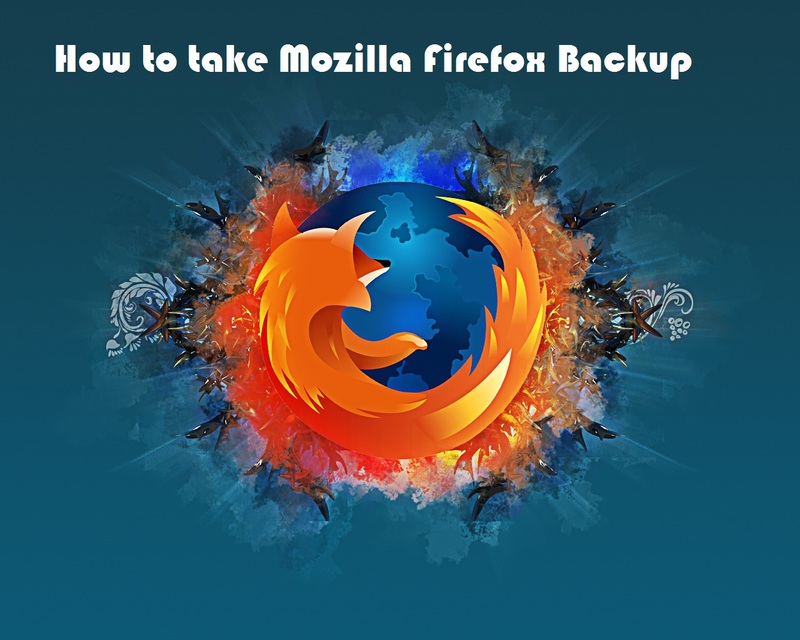 MozBackup is a very useful utility for taking backups of your Firefox browser. It offers you to backup and restore bookmarks, mail, passwords, contacts, history, extensions, cache, cookies etc. The support-ability products are Mozilla Firefox, Mozilla Thunderbird, Mozilla Sunbird, Flock, SeaMonkey, Mozilla Suite, Spice bird, Songbird and Netscape profiles. This MozBackup software is 100% free and you can download it here. 1. Start MozBackup Utility and click on Next. 5. 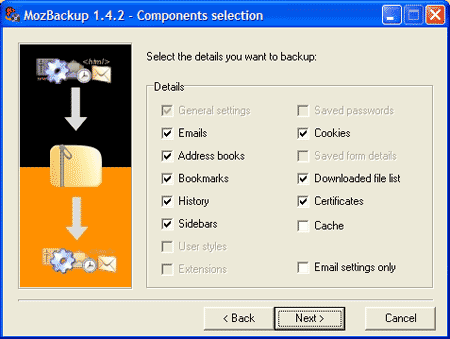 You will be prompted with an option where you can opt for password protect your backup file. Click yes for setting password. 6. Now select the stuffs that you want to backup (ex: Bookmarks, email, address books, extensions, saved password, etc …) and click Next. 8. When it's done you will get a Finish button. Click on it and you are done. Hope you have taken backup of all the useful bookmarks, mail, passwords, contacts, history, extensions, cache, cookies etc.